The 54100A series integrated scalar network analyzers have built in crystal referenced sources to provide an economical and compact solution. They are ideal for production of devices such as filters and amplifiers from 1MHz to 50GHz. 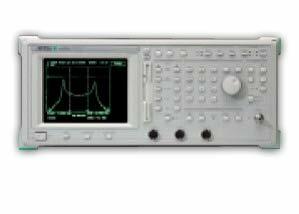 Optional software adds; distance to fault measurements for field testing of waveguides, cables and antennas, relative group delay software for economic filter characterisation and precision return loss that adds up to 20dB directivity improvement to SWR measurements.